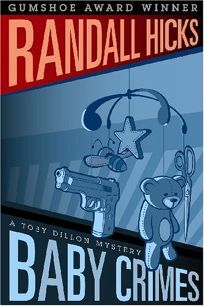 Adoption attorney Hicks's unremarkable second Toby Dillon mystery (after 2006's Gumshoe Award-winning The Baby Game) offers more of the same: amateur sleuthing by part-time tennis pro and part-time adoption attorney Dillon, with more emphasis on professional dilemmas than detection. This time out, Dillon is hired by Nevin and Catherine Handley, an obnoxious wealthy couple who are seeking to have the adoption of their teenage daughter Lynn, now Dillon's tennis student, belatedly legalized. What should be a fairly routine matter becomes complicated when Nevin is murdered. Hicks also mixes in a subplot concerning Dillon's burgeoning relationship with his childhood friend, famous movie star Rita MacGilroy, whose young children are threatened by a thug. The writing and characterization fail to deliver on the series' potential, and other writers have better translated their professional expertise into engaging fiction.